"I look at the album two different ways. One was he was looking at his life and feeling pain and shame for what was happening. But then there’s humor and his weird idiosyncrasies all over the place—he couldn’t help that." Three months ago, the world lost one of the great unsung architects of modern indie rock. On July 3, Richard Swift died from complications related to alcoholism in Cottage Grove. The Pacific Northwest songwriter, musician and producer was as beloved for his jovial, supportive attitude as for his endless talent, and helped shape the last decade of indie music. Swift was the man behind the curtain for some of indie rock's best records and tours. He produced and played with the Shins, Foxygen, the Black Keys, Dan Auerbach, Nathaniel Rateliff & the Night Sweats, Kevin Morby, Damien Jurado, Lætitia Sadier of Stereolab, Gardens & Villas, Hamilton Leithauser of the Walkmen, Tennis—the list truly goes on and on. Swift became so in demand that his own solo records—which vary from pensive folk to raucous garage rock—had to take a back seat to the flurry of production gigs he was being offered. But last week, his swan song as a solo artist, The Hex, was released on Swift's longtime label, Secretly Canadian. The Hex finds Swift facing death the only way he knew how—through his music. 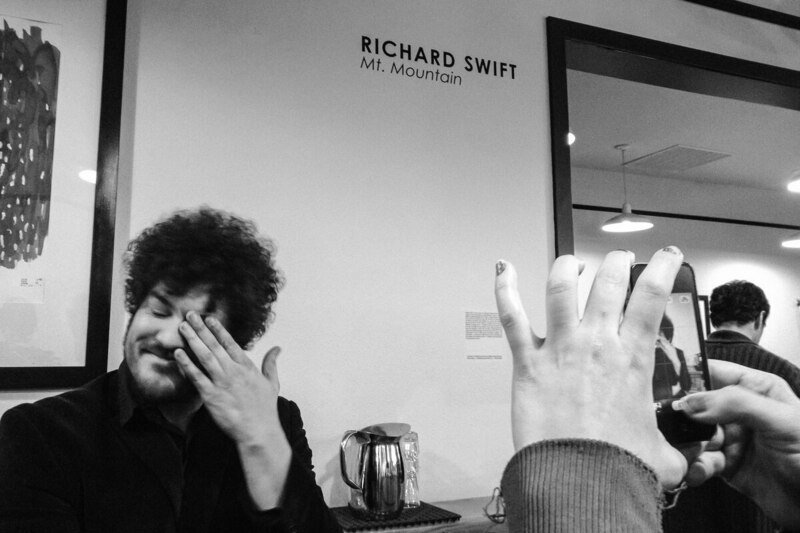 Recorded in spurts over the preceding years and then with great urgency over the last few months of his life, The Hex is filled with an abundance of the unique creativity and psychedelic soul that typifies Richard Swift's work. The album's lyrics are infused with new meaning in the wake of Swift's passing. "Richard was so much more honest in his songs about his addiction than he was in real life," Chris Swanson, co-founder of Secretly Group, told WW during an emotional, tear-filled conversation. "I think part of talking about Richard's alcoholism and death is talking about how much he concealed his drinking from those who could have helped him more. I hope this starts a dialogue amongst artists that, sadly, those in our scene too often lack." Swift's manager, Adam Katz, also warns against any overly poetic interpretations of The Hex. "We tend to romanticize these tragic deaths—Cobain, Hendrix, Gram Parsons—and say, 'This is the only way it could have gone,'" says Katz. "But this isn't the only way it could have gone." One of the many facets of Swift's genius lay in his ability to commingle melancholic lyrics with arrangements so soulful and buoyant the darkness of his words is often obscured. There are few better examples of that dichotomy than "Dirty Jim," a song with a jubilant ragtime strut that belies the sad goodbye at the heart of the lyrics: "Every daughter in my home/Everyone I've left alone/Sorry for the tears I gave to you/But every color now, every color now/Every color now is shining through." Part of what made Swift such a masterful producer and artist was his ability to meld varying musical forms with dexterity. Never before has one of Swift's own works so ably displayed his myriad talents as The Hex. The chanted chorus of "Babylon" is so ecstatically soulful it borders on the ecclesiastical. It could double as a mantra if it weren't for the self-aggrieved lyrics the songwriter belts out in gorgeous falsetto. "Wendy" sounds like a '60s girl group experiencing a bad acid trip. "Broken Finger Blues" and "Selfishmath" showcase Swift's unique penchant for interstellar psych pop. The unhinged, spoken-word "Kensington" sounds like a demented dispatch directly from Colonel Kurtz' heart of darkness. The sleek instrumental "HZLWD" sounds as if it should be soundtracking an equally sleek Steven Soderbergh caper of some kind, or perhaps serve as background music for a singles bar on the Moon. It's undoubtedly a heavy record. But The Hex doesn't feel bogged down by the shroud of melancholy surrounding its release, and manages to showcase Swift's ample mischievousness and humor. "Richard was still working out the lyrics to 'HZLWD' when he finally got too sick to keep working on the record," Swanson says, punctuating the sentence with a sad exhalations before continuing. "When I hear that song now, I hear Richard's silence. But I look at the album two different ways. One was he was looking at his life and feeling pain and shame for what was happening. But then there's humor and his weird idiosyncrasies all over the place—he couldn't help that, it was just him. Richard had people cracking up until his last days." Katz points to "Nancy," a song written for Swift's aunt in the wake of his mother's death, as a glimpse into the artist's mindset. "Here you've got this song that's a primal scream of grief, but it's also sort of written in awe of how strong his aunt could be in the face of all this grief," he says. 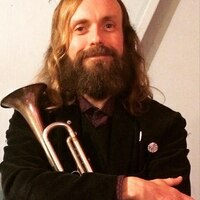 "For a guy who spent most of his time making others smile, Richard carried a lot of pain, and I think he had a hard time processing that outside of his music." That pain is readily apparent on the devastating album closer, "Sept20." The final song Swift wrote, it's a gorgeous Grizzly Bear-esque piano ballad. Sept. 20 would have marked Swift's 21st wedding anniversary, and was instead the day his family scattered his ashes off the Oregon Coast. Originally slated for release in November, The Hex was released digitally at midnight on Sept. 21, per Swift's wishes. For Swift, a preposterously talented musician whom Katz accurately refers to as "one in a billion," music was as essential and involuntary as breathing. It's a near-impossible task to sum up the tragedy of his death in a single story, but Swanson comes close when he emotionally recounts one of Swift's last days in a Tacoma hospital. "It was a real grim scene," says Swanson. "Because of the dialysis, he was pretty out of it—he'd mostly be asleep and would intermittently wake up and take in the room, almost like a newborn." Swanson had been playing the Everly Brothers and Captain Beefheart on a small speaker someone left in the room. But when he was alone with Swift and Swift's father, Swanson decided to put on a rough cut of The Hex. "When 'Dirty Jim' came on, Swift—we thought he was totally out of it and sleeping—suddenly started to sing along with his eyes closed under his breath to his own falsetto vocals," Swanson says. "It was the most moving thing in the world. It was a testament to his soul that he was able to participate with the music even in that state." On his song "Artist & Repertoire," Swift sings in typically self-effacing fashion, "My name will go missing/But the songs will be there." But that moment in Swift's hospital room seems to prove that because of his songs, Swift's name will never go missing. "To commune with the song and contribute to it anew—I'll never, ever forget that," says Swanson. "To hear that voice one last time, hearing him add that final impromptu layer to that beautiful song—I'll never forget it." SEE IT: The Hex is out Dec. 7 on vinyl and CD via Secretly Canadian, part of Secretly Group, and is streaming on all platforms now.